Since I will be celebrating my second year of being a blogger this coming November 2009, I have opted to conduct several contests to celebrate the two wonderful years of having new experiences, new friends and a new way of earning money from home. So for the first blog contest, I am going to conduct a book giveaway! This book giveaway is open to all Philippine residents or from other countries with Philippine addresses. I will be giving out two books to two lucky winners! OK, why books? Because I adore books! And I believe books are the most ancient way of learning while having the luxury to relax and enjoy the moment. Anyway, I myself am a book lover. Though I don’t read novels and such but I love reading books on parenting, marriage, personal finances, making money, spirituality, about God and more. So, what are the books am I giving away? The first book that I am going to give is Blogging from Home by Janette Toral. When I started blogging, I was really walking in pure blindness! It took me a lot of months to learn the ropes. Then after reading Blogging from Home, I said to myself, why was I not able to read this before? It would have been easier to start blogging! So, if you want to start and learn about blogging or if you want to share this to your family or friends to help them start in the world of blogging, join my book giveaway now and you might win a copy! The second book is Find Real Happiness by William Gracian. He shares 10 power (but practical) secrets to fully enjoy life. The will help you answer the following questions: What are the secrets to real and lasting happiness? Where can you find happiness? Can you be happy by being rich and famous? Can you be happy by looking young and fabulous? Or can you be happy by becoming big and powerful? So, is you want to know the secrets of finding real and lasting happiness or share them with your friends and family, join my book giveaway now and you might win a copy! 1. You must be a follower of this blog. So, follow this blog using Google Friend Connect (1 entry). You can find do so by clicking “Join this Site” at the right side. If you can’t see the widget, please using Google Chrome because FireFox and Internet Explorer are somehow having a problem displaying it. 2. Subscribe to this blog’s RSS using email. If you are already a subscriber, please subscribe again using a different email address (1 entry). 3. Make a blog post about my book giveaway. 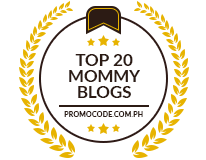 Please don’t forget to hyperlink my blog URL https://www.pinaymommyonline.com to Pinay Mommy Online and my book giveaway sponsor http://www.bloggingfromhome.com to Blogging from Home and of course, a direct link to this contest post. Please use dofollow links. Using URL shortening and nofollow links are not valid entries (2 entries). To increase your chances of winning, you can do additional tasks if you are up to it. 1. Subscribe to this blog using other more than one email address. You will get 1 entry per email address. 2. Stumble any of my posts at the tutorial section (1 entry per stumbled post). 3. Digg any of my posts at the tutorial section (1 entry per dugg post). After you have done all your tasks, please leave a comment here with the details of your entries such as username used when following this blog, permalink to your blog post, emails used to subscribe and usernames used to stumble and digg my posts. NOTE: You can make as many blog post entries if you want as long as it’s posted in different blogs. All blogs must at least be 3 months old to participate. This book giveaway will commence today and will end on September 30, 2009 at 11:59pm (GMT +8). Winners will be chosen via random.org. There will be two separate draw for each book. Winners can only win once and be announced on or before October 3, 2009. Now that’s about it. Thanks to Ms. Janette Toral for sponsoring the Blogging from Home Book and good luck to all participants!! hello mommy, thanks for inviting me through plurk. Anyway, I already won the same book from joining a giveaway contest too, a couple of months ago. So, I will give a chance to others. This is absolutely a very informative and helpful book, a good way to go, to start a successful blogging journey. D ko talaga makita yung link the ‘follow this blog’ mo since hind ako nka google chrome. Huhuh. Wla ka ba dyang link momy? Hehe! Happy second blogoversary Mommy Ruby! @gengen: I will try to join Mommy Gen. My internet connection is kinda wonky lately even in the wee hours of dawn. @I Heart Contest: Thanks Mommy Dha for joining. Will take note of your entries. @Zorlone: Thanks Doc for the greetings and visit. @Fatherlyours: Salamat po sa greetings at visit. I like your idea about package sponsoring..May I know how much EC’s can you give so that when I divide the prizes I’ll distribute them fairly…THank you so much…. Was here again… Hehe. Just an update about my “post”. Since I update my blog daily, you might possibly miss my blog entry about your contest so I am back with the direct link: Join Pinay Mommy’s First Book Giveaway…” @ Bloguardian Hellsite: Overcashed. Thanks! I joined your giveaway contest too. I hope to win any of the books as I love reading too. More power to your blog. Hi sis Ruby, wow congrats for almost two years of blogging and earning from home. How accomplishing that could be. You are able to take care of your family and the same time earn even at home. How rewarding sis.. I admire your accomplishments..
Good luck to your contest giveaways!!! Those books are great. I am interested in the first one. I want to learn more on blogging from home. When is your due sis? Ako din preggy na preggy.. I also believe that books are such a good friend of you and be a compilation of knowledge. ahoy! happy anniv po sa blog niyo! wohoo!!! anyways, meron na po ako ng Blogging from Home book ni Ms. Janette, kaya yung isang book wala pa pero ayos lang kung hindi ko rin makuha, anyways, followed you po sa Google Friend Connect..
Goodluck and God bless po! will post at other sites later.. I want to join. Hapi Anniversary pala sa blog mo. Congrats sis! I just joined your book giveaway contest and post this on our forum. 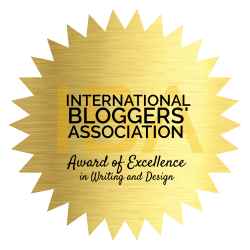 I am posting it in my contest blog – though it will just turn 3 months old on sept. 24.
even if it doesn’t qualify – i like posting about great giveaways. I was here last Friday. I don’t know if you received my email regarding the error I encountered while posting my entry. Anyway, here are the tasks I fulfilled in joining this contest. I followed your blog using onlinemommy handle. I can’t stumble any article because you don’t have the thumbs up icon for stumble. May you have a safe delivery and healthy baby. i personally recommend this book. Yay… few hours and we’ll know the winners. I’m so excited! Hehe. Could it be me? Hehe. Hope so! btw, congrats on your new baby. cute pics!